Each year we strive to be a better form of ourselves. This goal is often set through a New Year’s resolution. Year after year, it can be difficult to think of a new resolution that can be realistic to stick to all year round. Throughout your day-to-day routine, you may put a lot of pressure and stress on your back. There are many ways to improve your back health. If you don’t have a realistic resolution, consider these four simple suggestions to improve your back health. 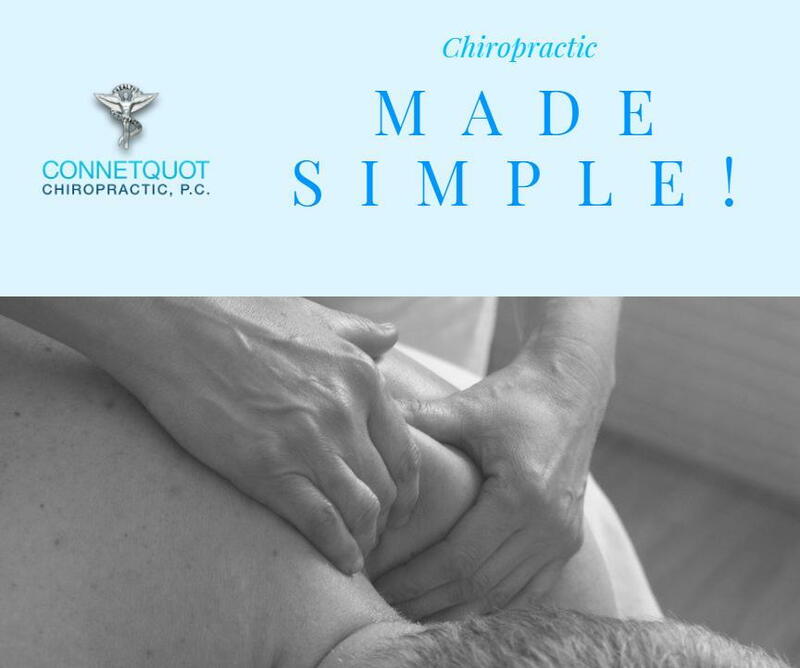 At Connetquot Chiropractic, we will have you feeling happy and healthy, making 2019 your best year yet! Stay active - This resolution may seem like the most obvious one of all, but it will help ensure that your back stays healthy. Consider light cardio such as walking. This will keep your back in a natural, upright position. Also, consider performing core exercises. Having a strong core will help support and take pressure off of your back. Practice good posture - Maintaining good posture can support the natural curves in your back. When sitting, have your feet touch the floor, keep your knees and hips level, and sit up to keep your spine aligned. You may want to adjust your chair for maximum comfort and get up every 20 to 30 minutes to keep your spine moving. Improve the quality of your sleep - It is important to assess your sleeping arrangements. You should have a mattress and a pillow that provide adequate support to your back. Additionally, while you sleep, make sure your back is properly aligned by sleeping on your side with a pillow in between your knees or lying on your back with a pillow under your knees. These positions will provide more support on your lower back. Proper lifting - Improper lifting techniques are a major cause of back pain and possible injuries. An injury can happen from someone lifting a heavy object when they lift with their back instead of their knees. If you’re encountered with lifting something, make sure to stand close to the object with a wide stance. Then, using your knees, bend downwards towards the object avoiding twisting your back. Pull the object upwards with the strength of your legs and knees. If the object is too heavy, seek assistance. New Year’s resolutions do not have to be difficult to achieve. These four simple lifestyle changes can help you create less strain and tension on your back and are easy to commit to all year long. Don’t put off any more resolutions and start to make an active change in your health and happiness now!